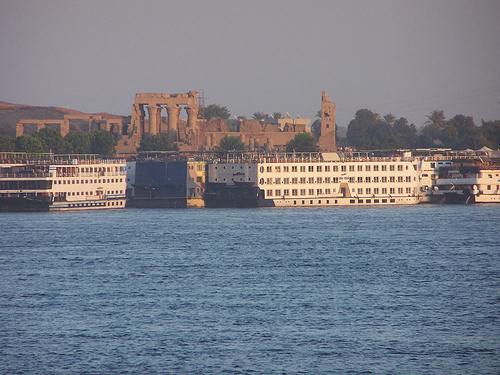 Kom Ombo is a popular tourist destination on the Nile. An Egyptian pharmacist has been arrested in connection with the stabbing death of a Christian woman earlier this month. 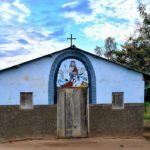 In a country where anti-Christian violence is a daily occurrence, the death of Madeleine Wagih on Feb. 8 was not widely reported. It received brief mention in one of the more lurid corners of Egyptian online news. It was one act of violence among the many that have followed the military’s removal of former President Mohamed Morsi last summer. Since August’s deadly clashes between pro-Morsi demonstrators and army, scores of churches have been ransacked. 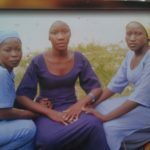 Kidnappings have become epidemic; Christian doctors and pharmacists are favoured targets. 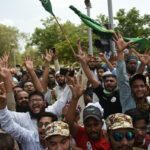 Christians generally are seen as having access to money, and for being supporters of the military takeover that drove the Muslim Brotherhood underground. Though the military-run interim government has outlawed the Brotherhood and rounded up its leaders, Egypt’s Christian leaders complain security forces do not show the same determination to track down the arsonists, kidnappers and killers who have lashed out at Christians and their churches. In the case of the Madeleine Wagih’s death, the man in custody, Mahmoud Mohamed Ali Hamid, appears to be preparing to plead insanity. Where Christian victims are concerned, that, too, is common. On the evening of Feb. 8, Wagih was working alone in Mahaba Pharmacy in Kom Ombo, a Nile River city of about 60,000 people in southern Egypt, famous for its ancient temple ruins, and about 270 kilometres north of the Sudan border. The pharmacy is owned by Semaan Fawzi Eskanda, a Christian. A man charged into the shop, brandishing a pocketknife. He stabbed Wagih in the throat, severing an artery. She bled to death quickly, said Rev. Rofael Rizk, a Coptic Orthodox priest in Kom Ombo. Outside, passing by the pharmacy, was Marian Kamal Shafik. The attacker burst out of the pharmacy, and stabbed the 18-year-old in her back, near her shoulder. He yelled “You Christians deserve more than that!” then jumped into a waiting car and sped away, Rizk told World Watch Monitor. He said Shafik was treated at the Kom Ombo hospital and released. Mahaba Pharmacy was the second target of the evening. Only minutes before, a few hundred metres up the street, the same attacker had entered another pharmacy, also owned by a Christian, Michael Abadeer. This time, however, there were several employees on duty, as well as neighbours who rushed to their aid, and they were able to turn the man with the knife back out into the street and into his waiting car, Rizk said. The funeral for Wagih was held the next evening, Feb. 9, at Mar Girgis (St. George) Church in Kom Ombo. 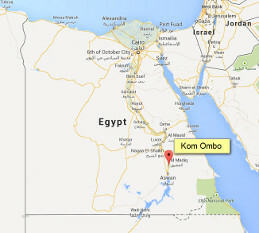 At the same time, other Kom Ombo Muslims attended the funeral and denounced the violence, according to a priest quoted by MidEast Christian News. Police arrested Hamid within a few hours after Wagih was killed. Hamid, 31, himself a pharmacist and a representative of a pharmaceutical company to medical clients, is related to Mohammed el-Omda, a former Muslim Brotherhood member of parliament now imprisoned in connection with deadly street violence following Morsi’s removal. 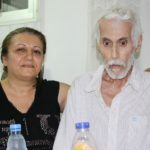 Hamid’s father is el-Omda’s cousin, Rizk told World Watch Monitor. Though Hamid is licensed to dispense medicine, Rizk said Hamid’s lawyers are preparing an insanity defence. “The lawyers of this assailant declared to the Kom Ombo prosecution that Mohamed is mentally ill, to acquit him of this crime,” Rizk said. 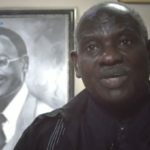 It is an audacious argument to make, he said, given that Hamid is subject to licensing and review by the government in order to work as a pharmacist. But pleading mental incompetence is a tactic often employed when accused of crimes against Coptic Christians. “Why are perpetrators of crimes against Copts always mentally ill?” MidEast Christian News quoted a Mar Girgis priest it identified as Rev. Philopatir.